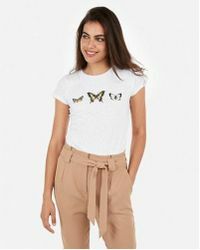 Express is a contemporary label that brings together a full line-up of designs from sportswear to occasionwear. 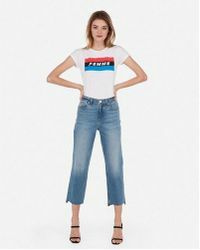 Created in 1980, Express brings together a range of influences from the latest trends to timeless silhouettes, making it a go-to brand for the modern woman who covets easy-to-wear designs at affordable prices. 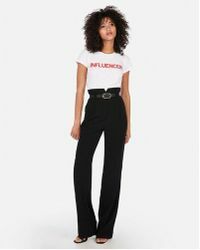 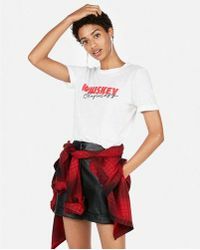 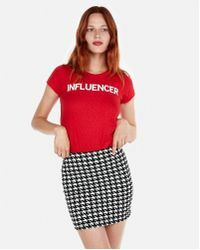 The collection of Express T-shirts features a broad range of designs from casual crew-neck T-shirts to lace-detail sleeves and statement, slogan-print T-shirts such as 'Champagne Therapy'.